On April 27 at the Honors Ceremony, several students in the Department of Medical and Molecular Sciences (formerly Medical Laboratory Sciences) received awards. Junior award winners were Brittany Benfer (Applied Molecular Biology and Biotechnology), Katelyn Koluch (Medical Laboratory Sciences), and Shannon Murphy (Medical Diagnostics). Sophomores winning awards were Brianna Eckeard, Sarah Nichols, Laura Orth, Erin Schulze, Kelly Moyer, and Sydney Shuster. 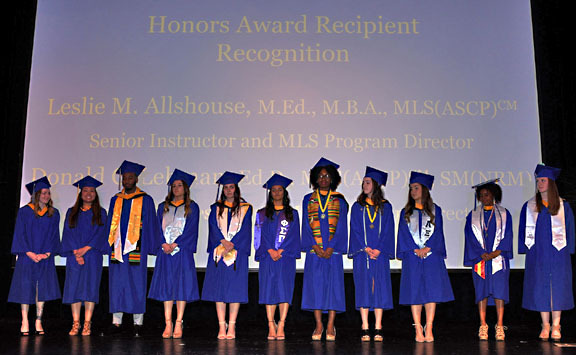 During convocation on May 25th, the following students received awards.